The work consists of an average of 1-2 hours per day (5-10 hours per week), and it may be possible to use the experience for internship credit. 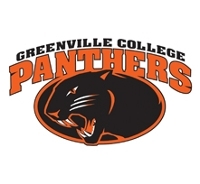 Responsibilities will include taking photographs at GC athletic events and team pictures as assigned for Greenville College’s 14 varsity sports. The position also requires processing of photographs and posting the photographs on Greenville College’s photo sharting website, Flickr. The job requires students to be in Greenville in the fall, interterm, and spring terms. Students with experience in photography are preferred. Submit a resume to B.J. Schneck (william.schneck@greenville.edu). Please include past job history, reference, class schedules (fall, interterm, and spring), and involvements in extracurricular activities on your resume. You may call 664-6621 for further information.